These are a always a crowd pleasing appetizer. Cut duck breast meat into bite sized pieces. This is easiest to do when the meat is still slightly frozen. Mix soy sauce, orange juice, honey, ginger, garlic, olive oil, pepper and poultry seasoning in a glass pan. Add the duck and mix well. 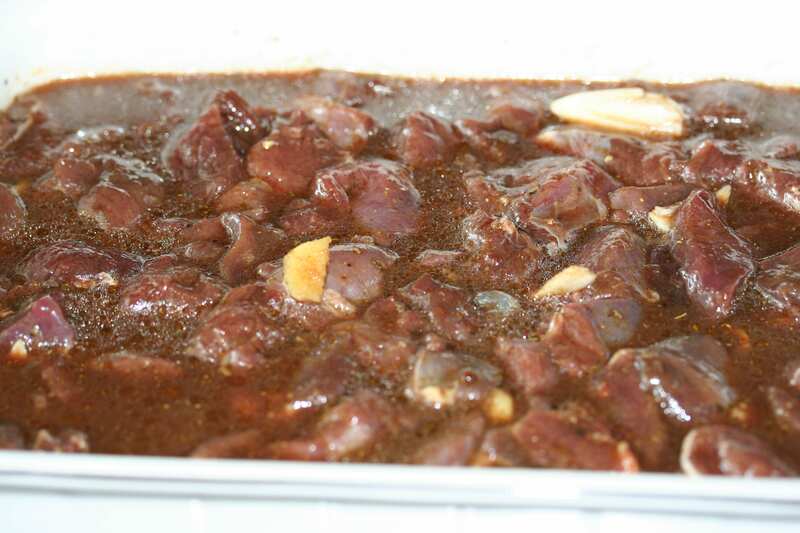 Pierce the duck all over with a fork for the marinade to soak in. Cover and put in refrigerator for a few hours, stirring occasionally. Peel and cut the oranges into small pieces, just slightly smaller than the duck pieces. The candied ginger pieces should be just smaller than the orange pieces. 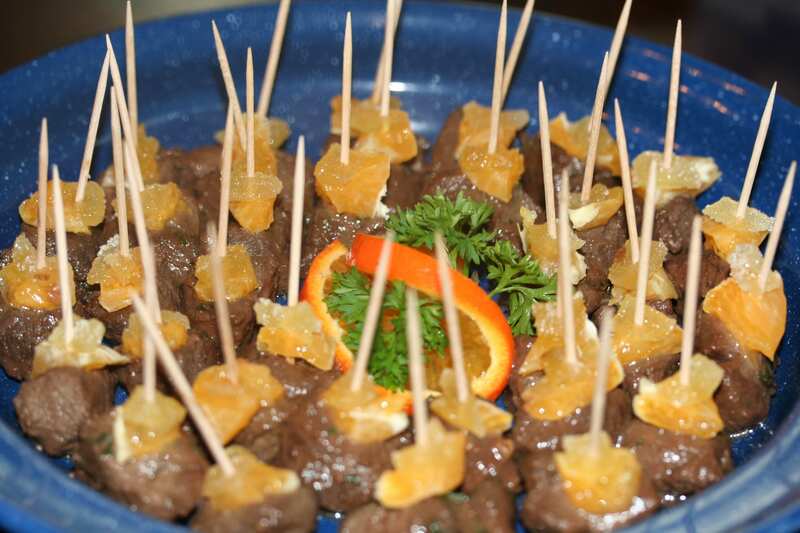 Assemble tooth picks with an orange piece and a candied ginger piece on top with room for the duck on the bottom. In a saute pan, put a tsp of olive or grape seed oil. Spoon the duck into the pan with a bit of the marinade and cook through for a few minutes. Remove the duck to a plate. Add the marmalade to the pan juices and stir well. If the sauce is not thick enough, whisk in a bit of cornstarch, just a dash at a time. Add fresh parsley or cilantro and stir duck back in. 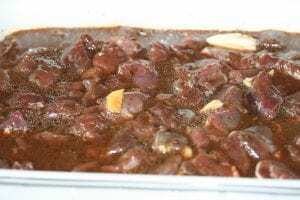 Stir to coat in the sauce, then remove from heat. 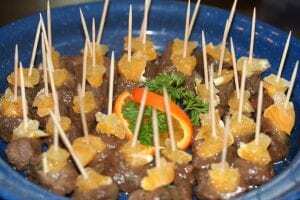 Add the duck to the toothpicks with the orange slice and candied ginger and serve on a tray with a garnish of orange and parsley or your own creative touch. Makes about 24-30 appetizer-size pieces.